Chair, beechwood or ashwood frame, regenerated leather back and seat. 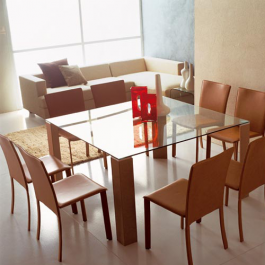 Chair, beechwood or ashwood frame, beechwood or ashwood multilayer seat. 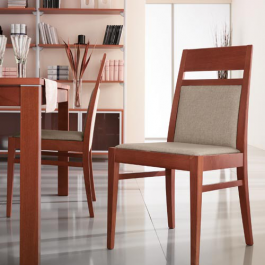 Chair, beechwood or ashwood frame, interchangeable, upholstered seat. Seats available in biege, orange, brown, sand and black colour. Chair, lacquered metal frame, regenerated leather cover. Leather available in cognac (RCO), red (RRO), brown (RTM) and black (RNE) colour. 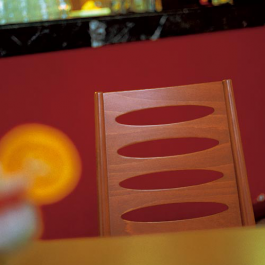 Chair, lacquered metal frame, chromed(C) or satinated aluminium (AS). 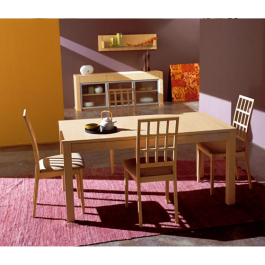 Beechwood multilayer back and seat, available in cherry (09) or wenge (WE) colour. 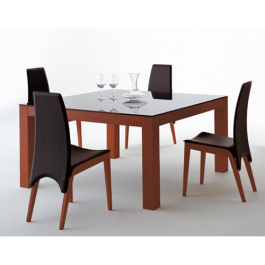 Chair, beechwood in cherry (09) or ashwood in wenge (WE) or walnut canaletto (NCA) frame. Upholstered back and seat available in River biege (R2), River radish (R17) or Coco sand (C101). 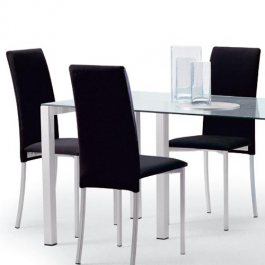 Chair, lacquered metal frame, satinated aluminium (AS) or chromed (C). Regenerated leather back and seat, available in cream (RCR), red (RRO), brown (RTM) or black (RNE). Regenerated leather back and seat, available in red (RRO), brown (RTM) or black (RNE).